Our mission is to restore hope and freedom for men and women with physical handicaps. 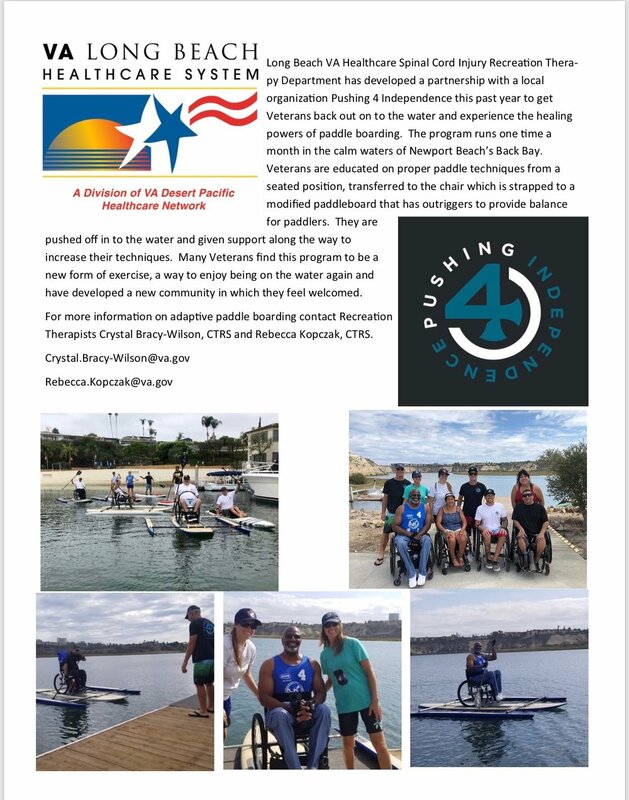 In 2013, a small team of paddlers based in San Diego, CA, started providing weekly stand up paddle boarding opportunities for men and women in wheelchairs. Since then, the team has seen hundreds of individuals, in and outside the US, regain strength and courage through our community and support system. We work with individuals and organizations such as the Wounded Warrior Project and the Children's Hospital, and have seen men, women, and kids find a passion for life though power of physical activity and encouragement. Our goal is to become an all-encompassing network of support for individuals in wheelchairs and other disabilities by expanding our recreational activities, providing everyday mobility assistance, and offering physical, and psychological therapy and support.